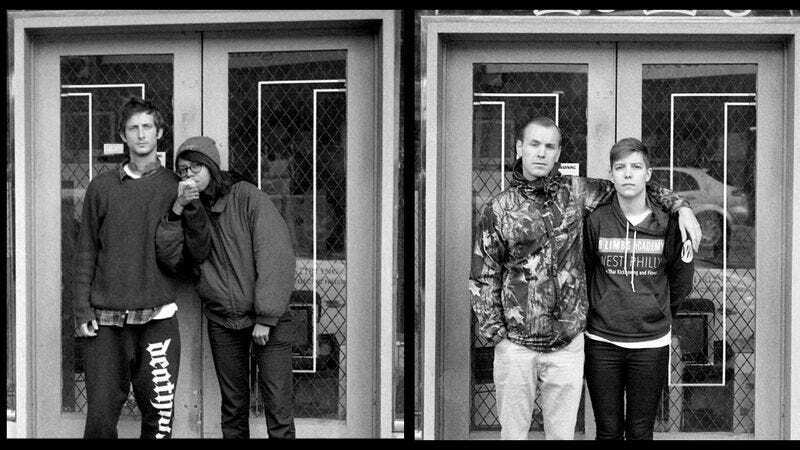 The thing that almost always comes up when discussing Self Defense Family is the band’s prolific nature. It seemingly releases a new record every other month, and while that can be seen as a challenge to a casual listener, it also offers limitless rewards for those dedicated to hearing everything. For its latest four-song EP on Run For Cover Records, the band promised “its darkest material to date.” And does Superior ever deliver: The A.V. Club is streaming Superior in full below, which sees the band’s chilliest music paired with its bleakest lyrics in service of a record that refuses to see the light at the end of the tunnel. Superior is available for pre-order via Run For Cover.